I am Dennis, proprietor of DCM & Partners. I completed a traditional apprenticeship at a local family firm of builders in Edenbridge where I gained my City and Guilds, Advanced City and Guilds and Institute of Carpenters certification. 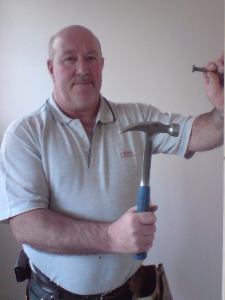 I became self-employed in 1984 and over the next 5 years established myself as an independent building contractor and I have seen the business grow considerably from the late 1980’s.